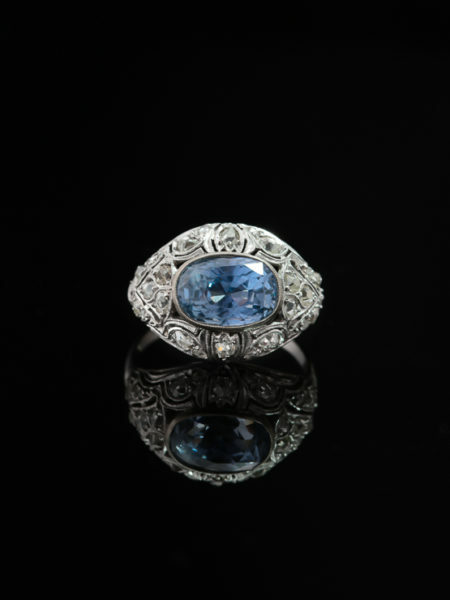 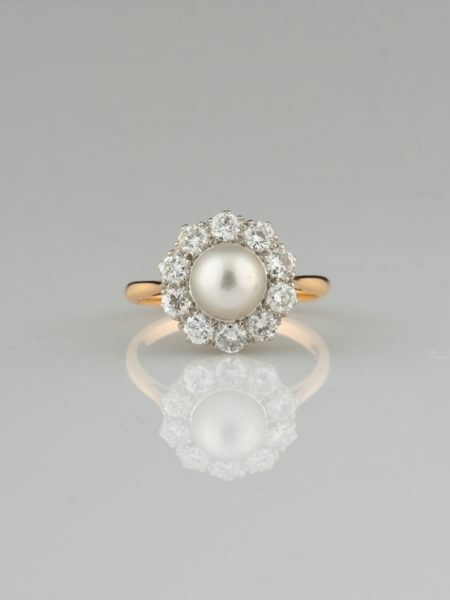 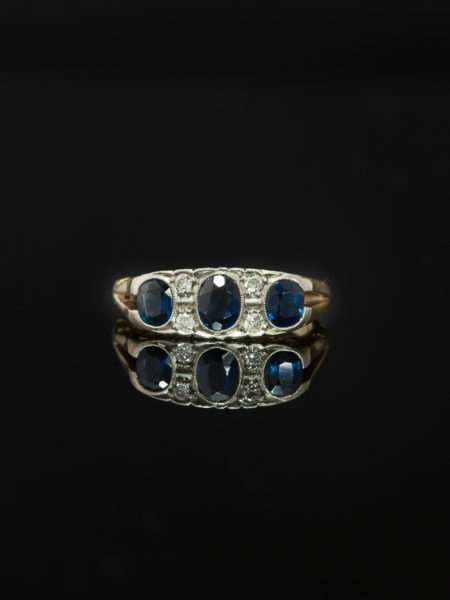 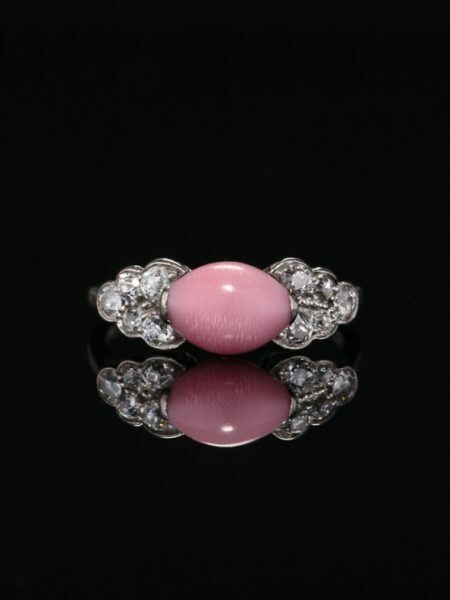 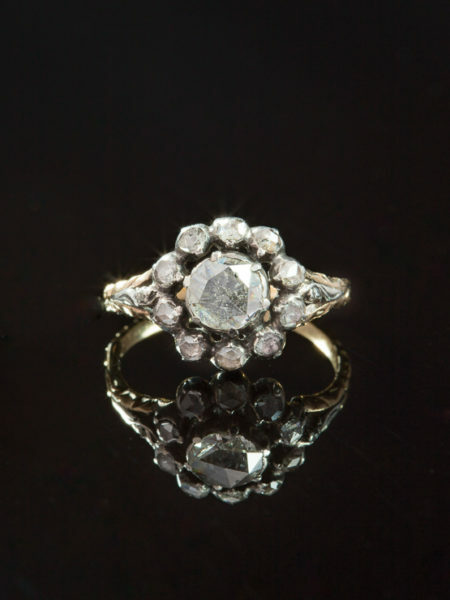 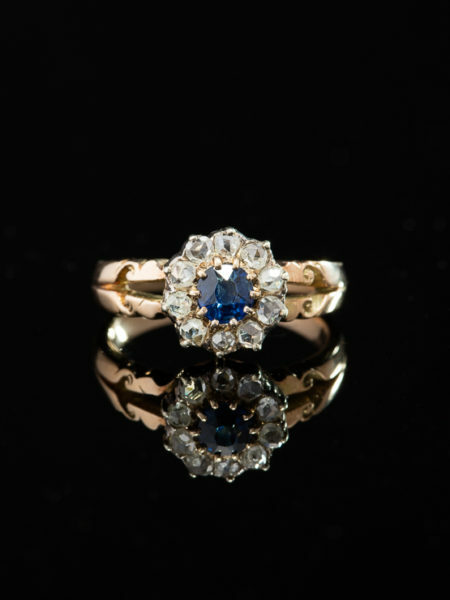 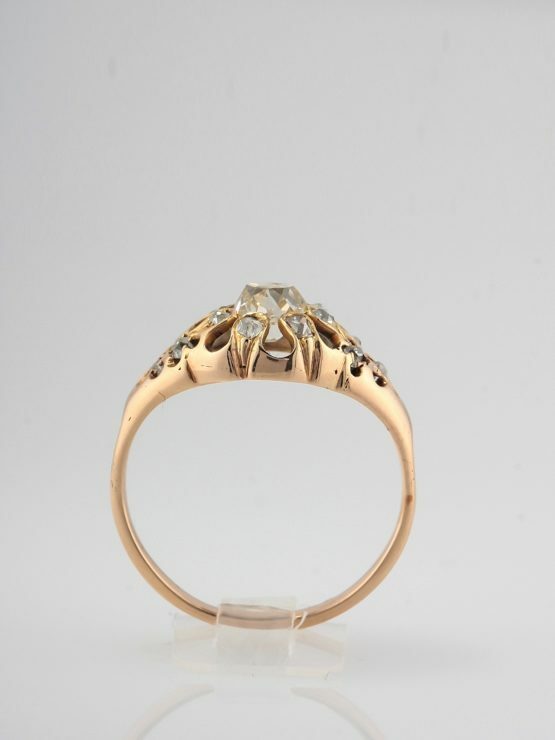 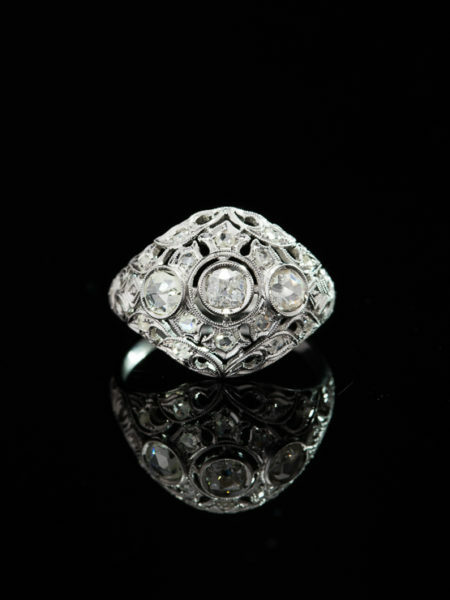 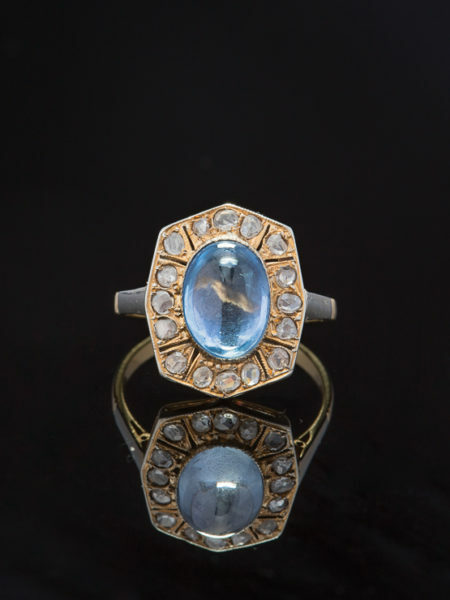 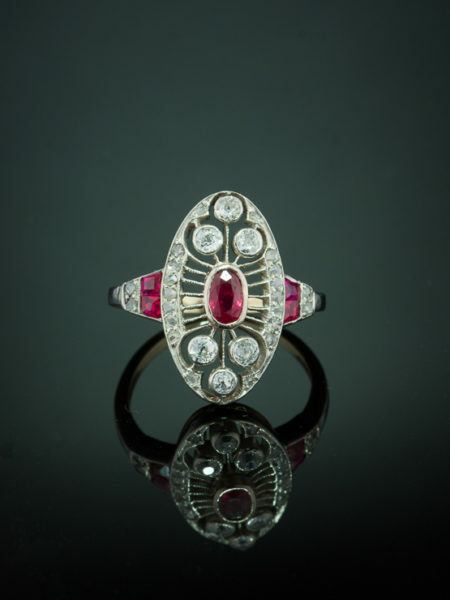 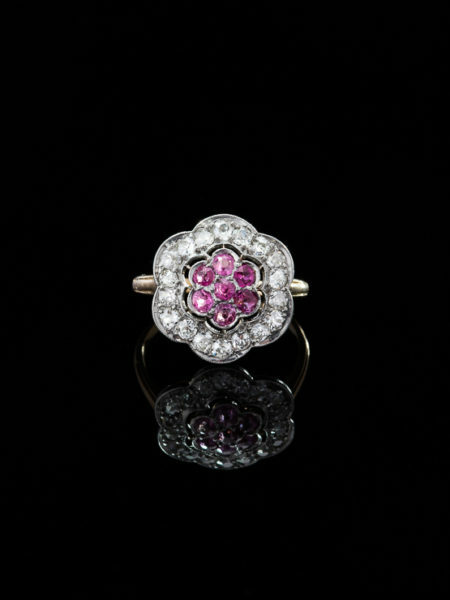 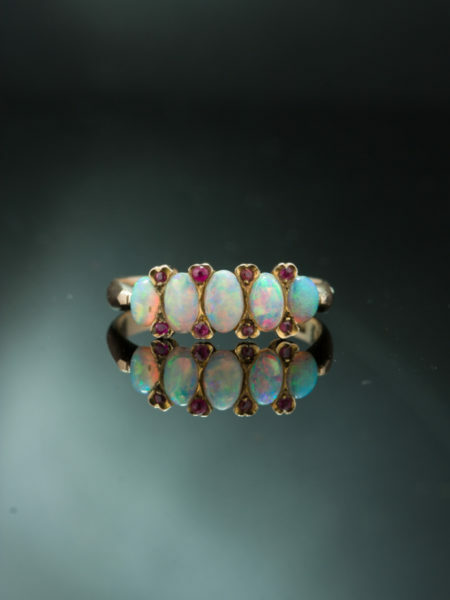 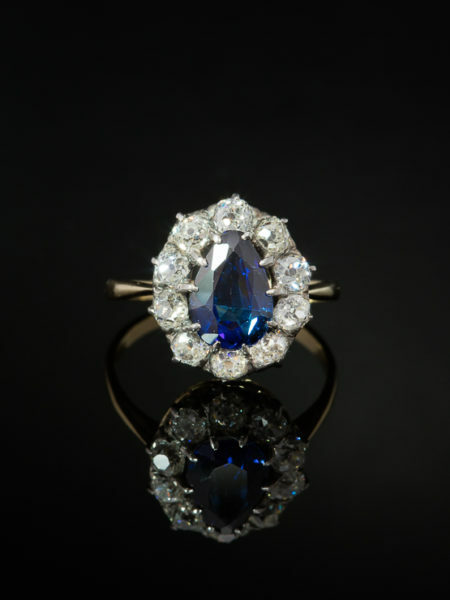 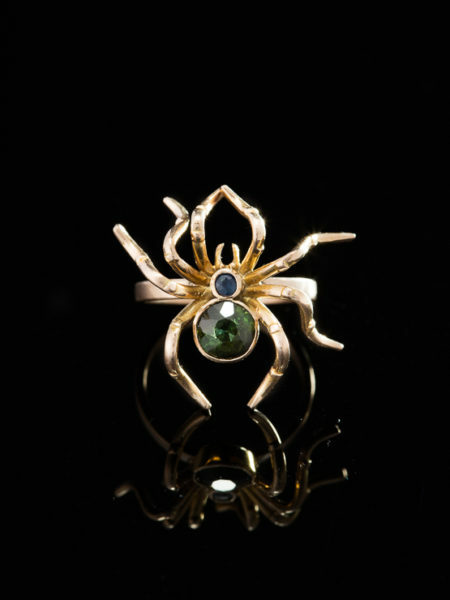 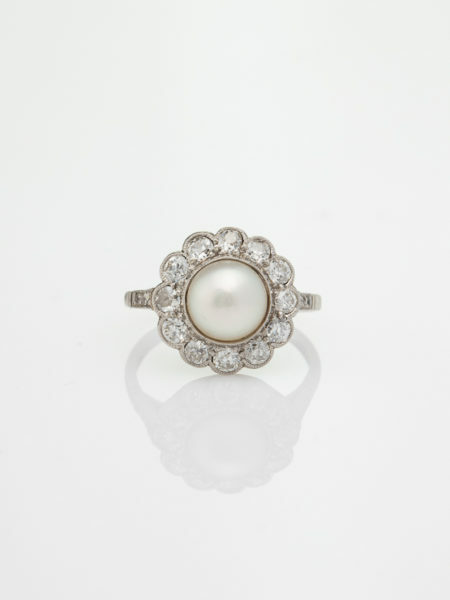 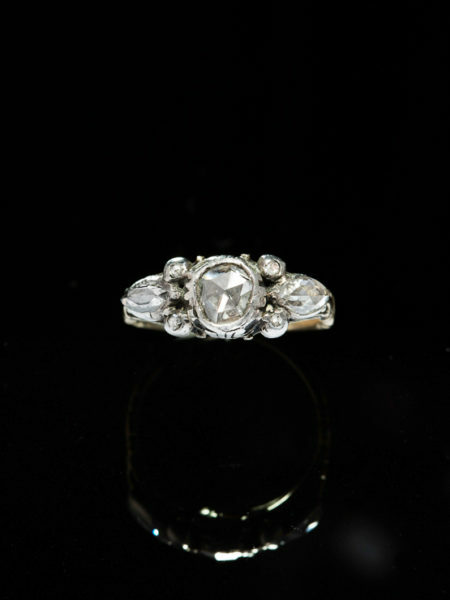 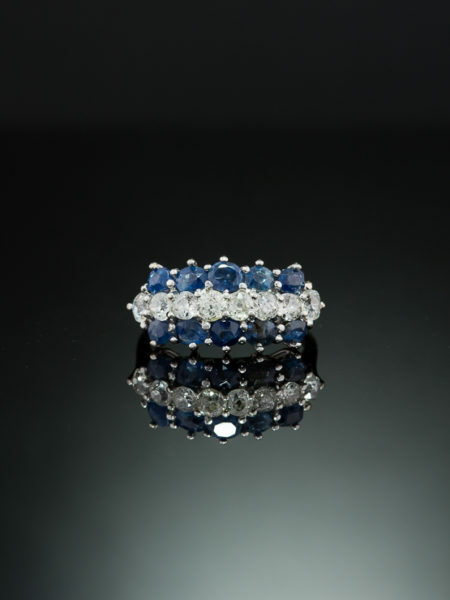 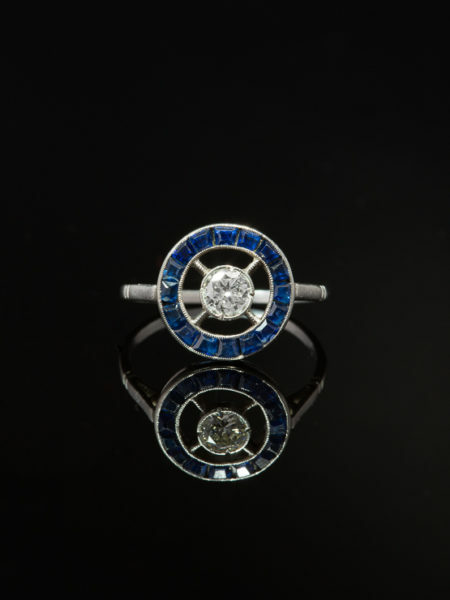 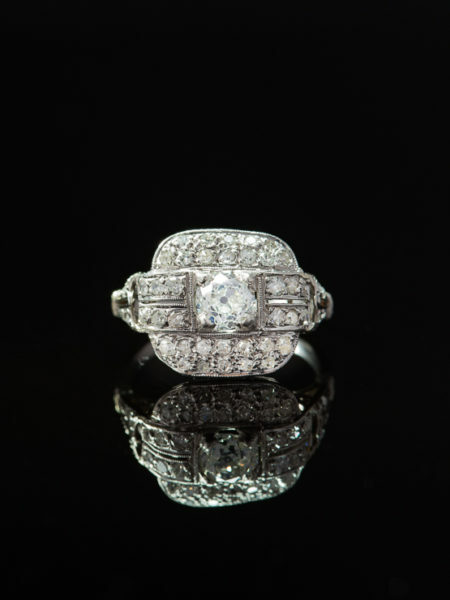 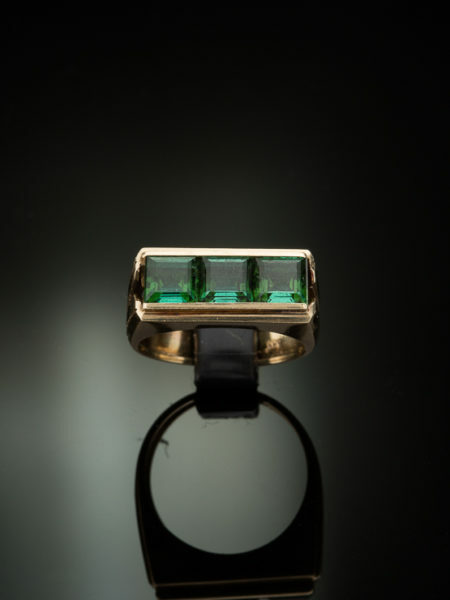 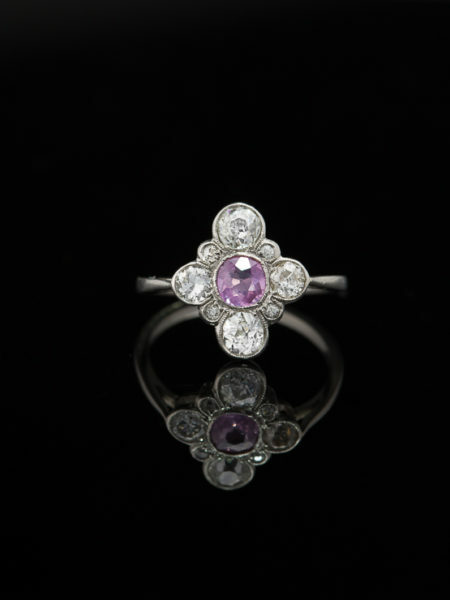 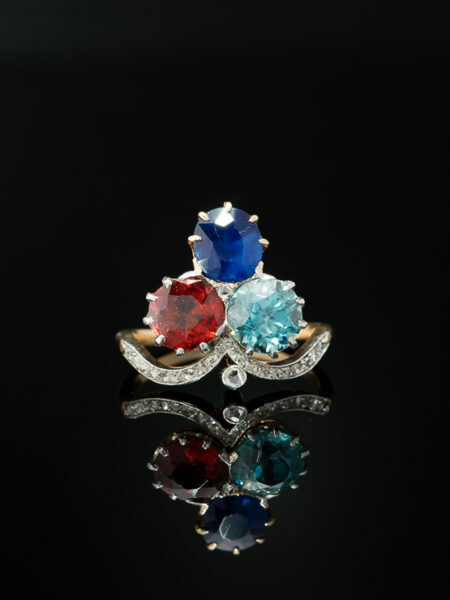 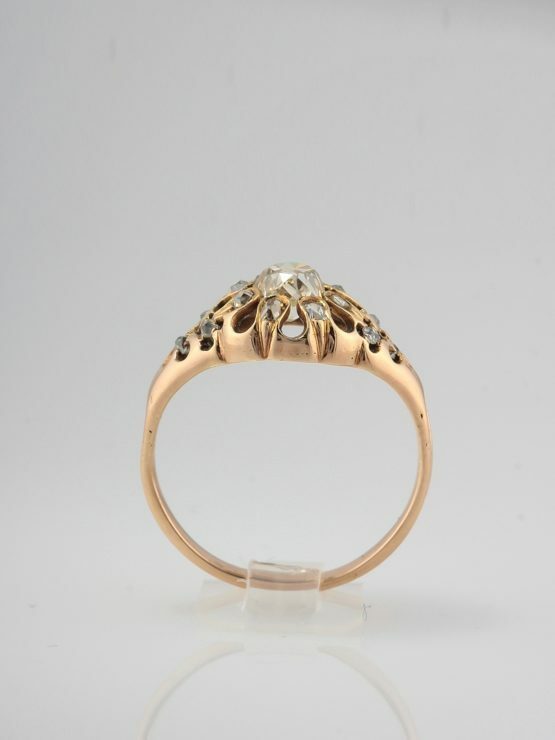 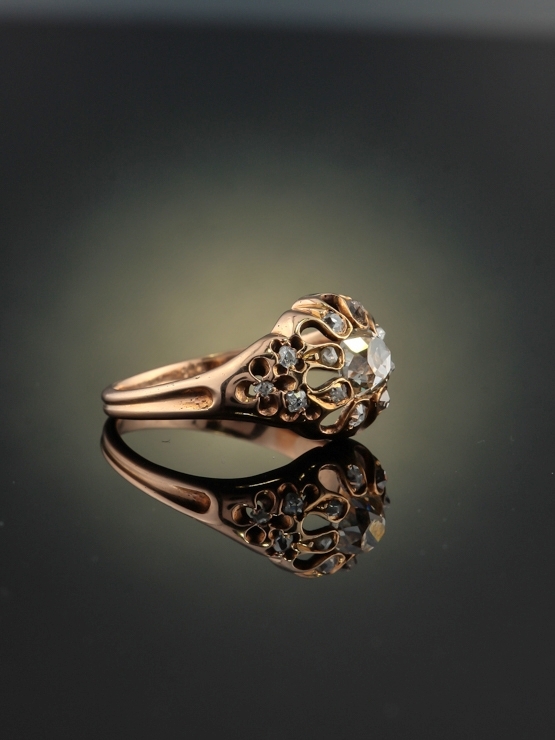 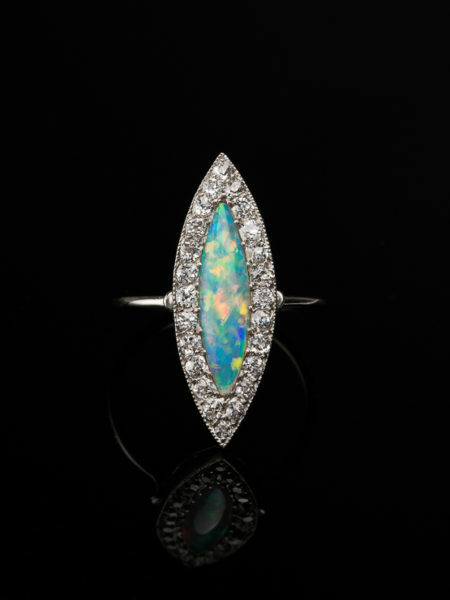 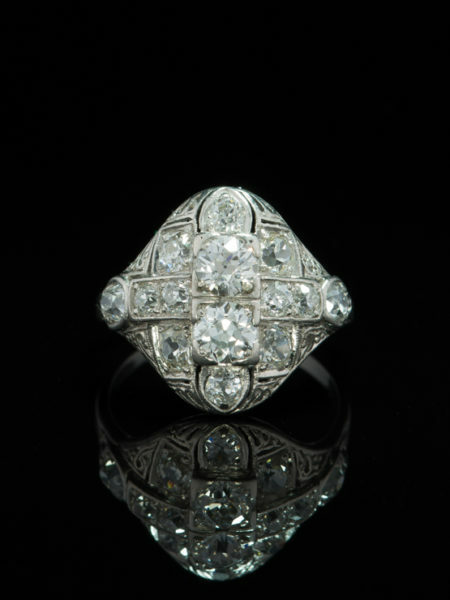 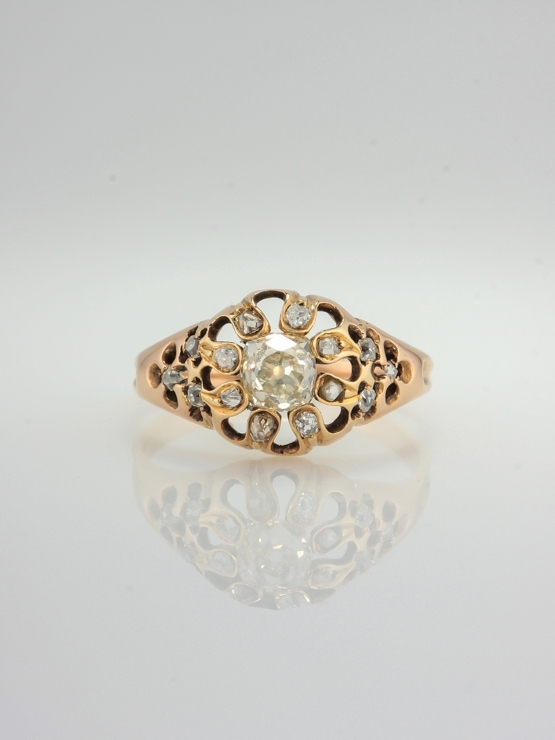 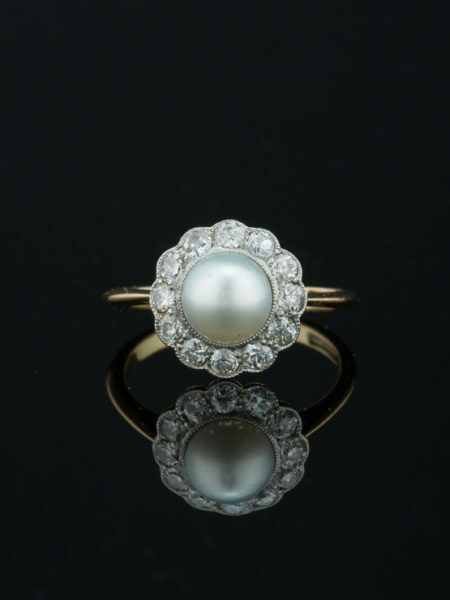 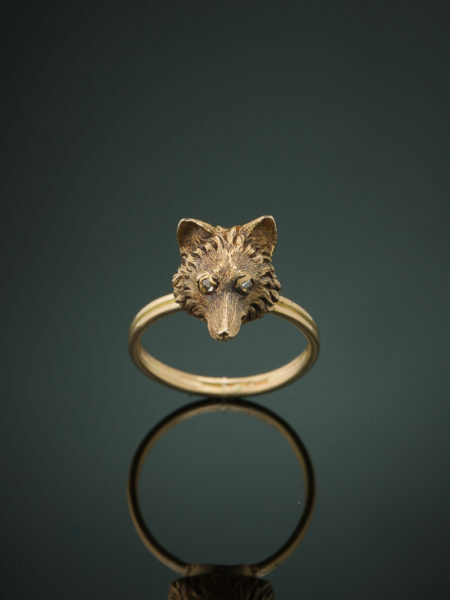 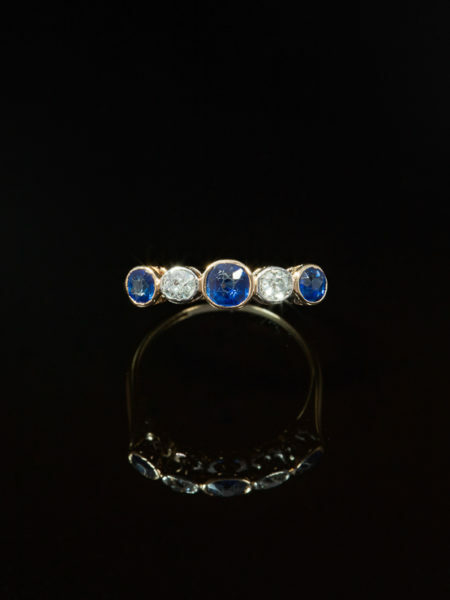 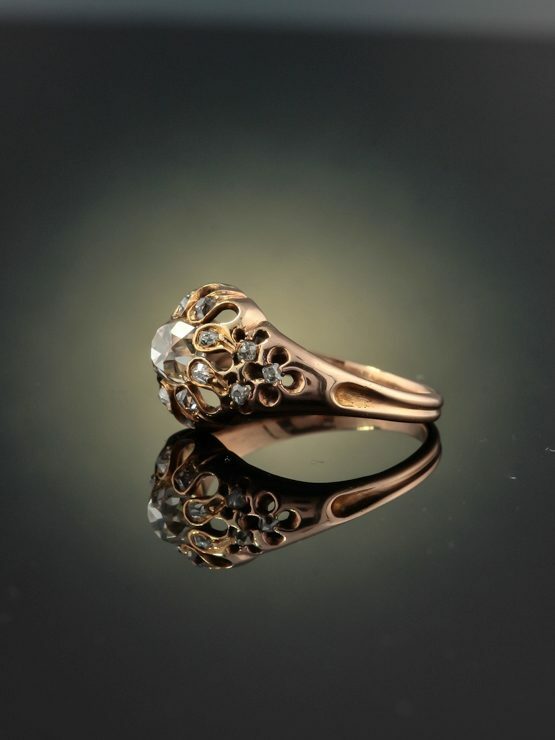 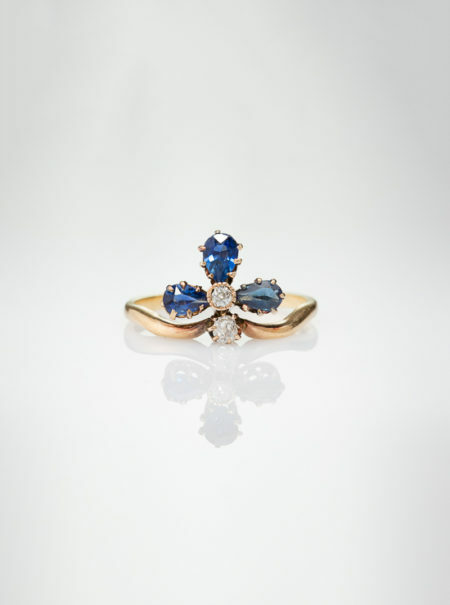 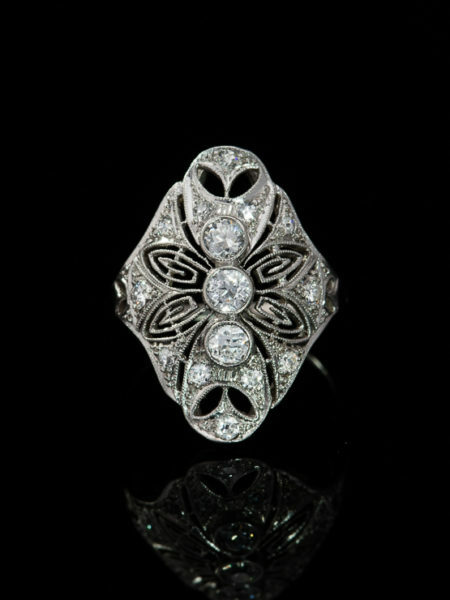 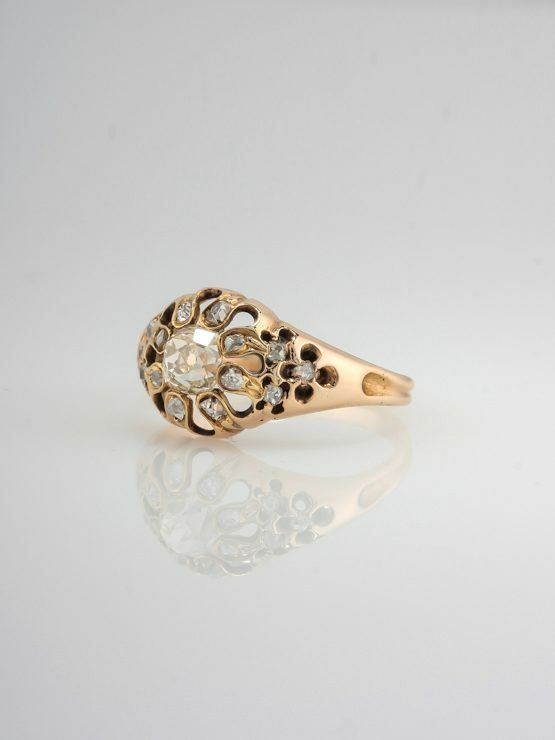 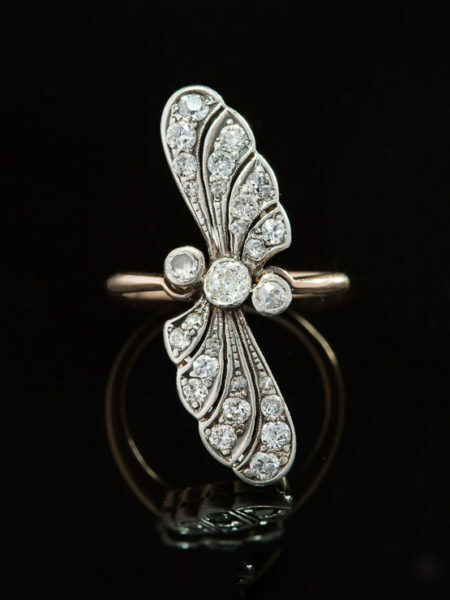 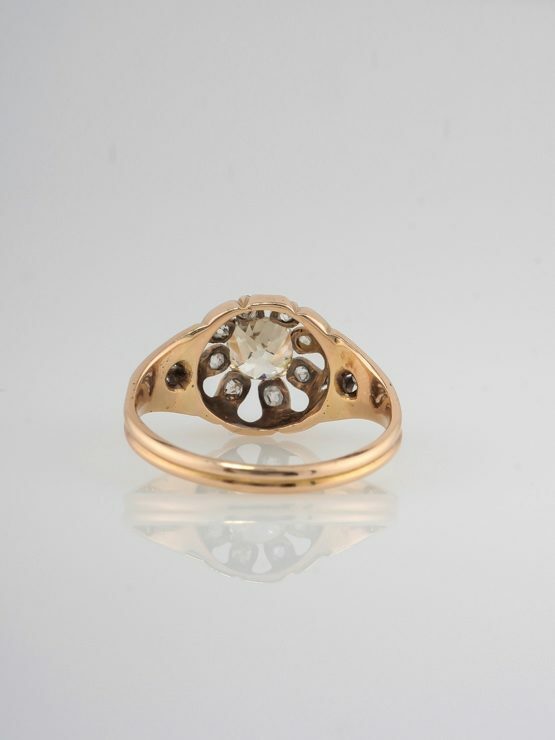 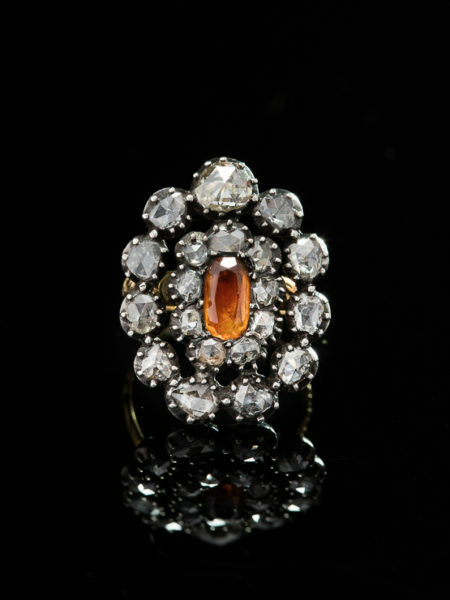 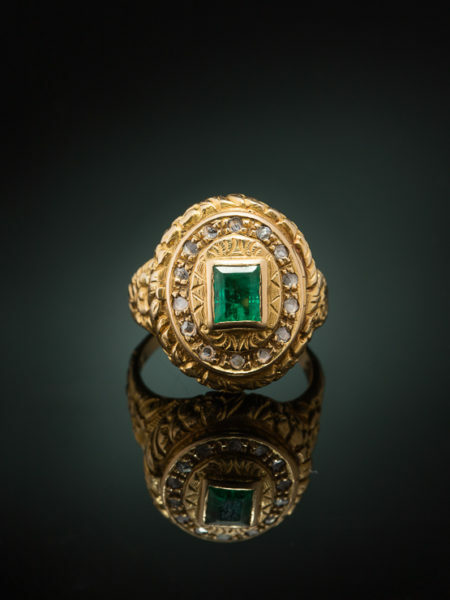 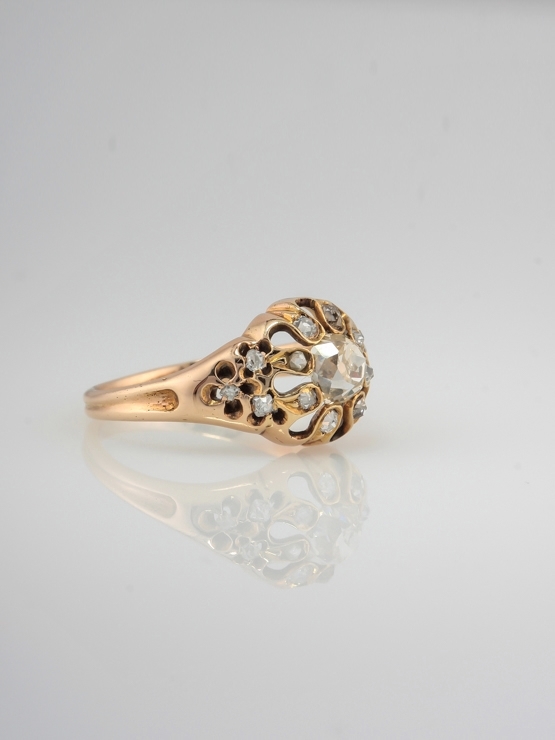 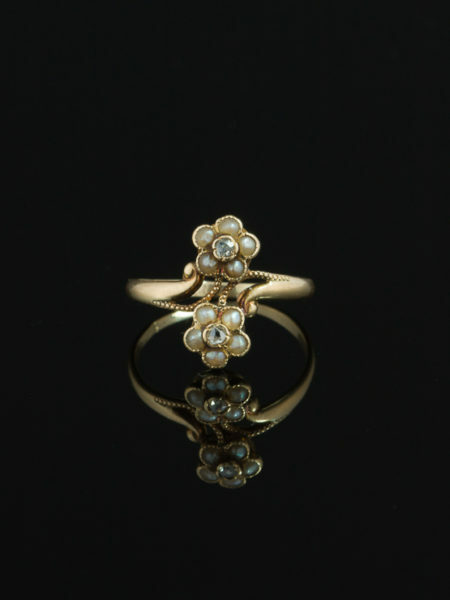 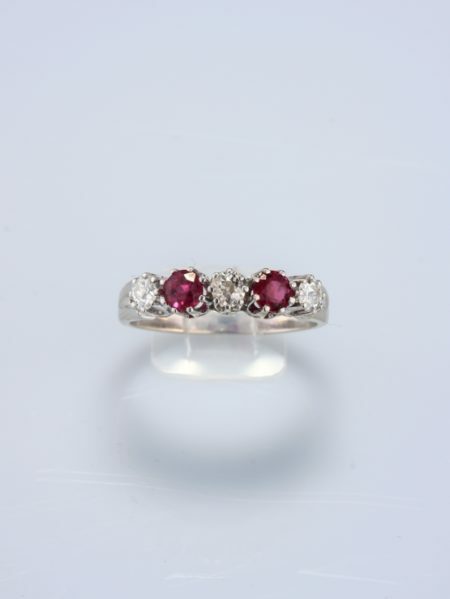 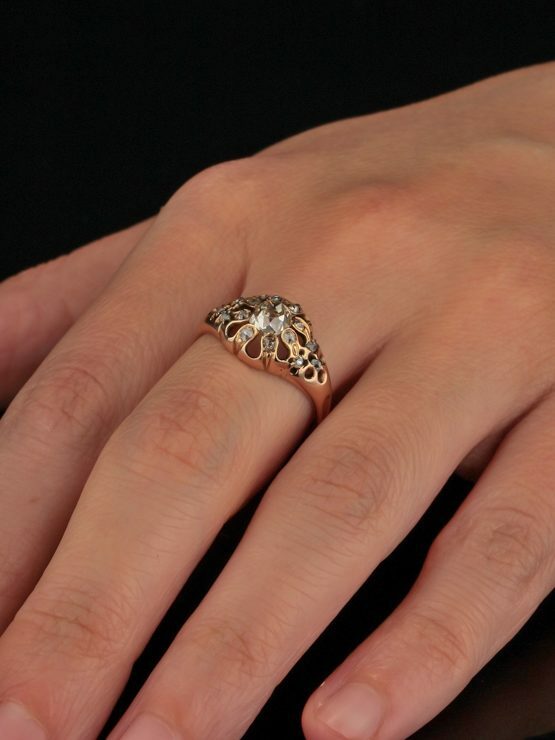 Edwardian artistry and sparkling diamonds make for a fabulously luxurious ring. 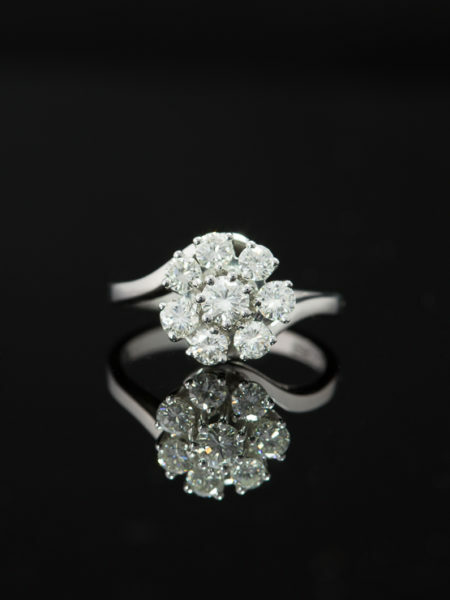 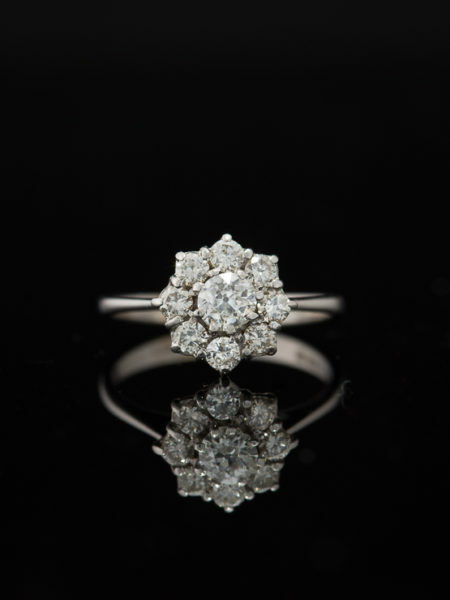 Timeless, sophisticated and dramatic is this radiant 1.52 Ct diamond flower solitaire ring. 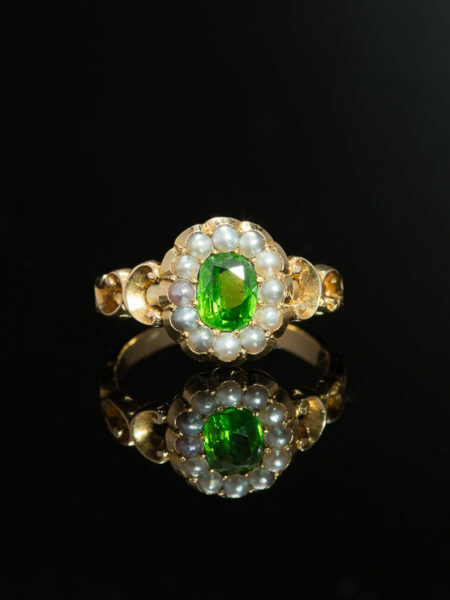 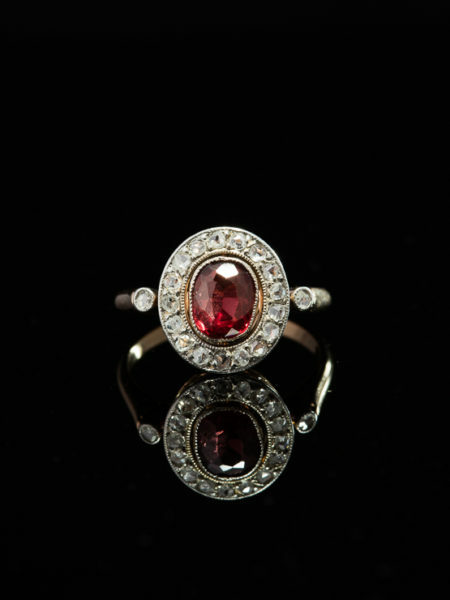 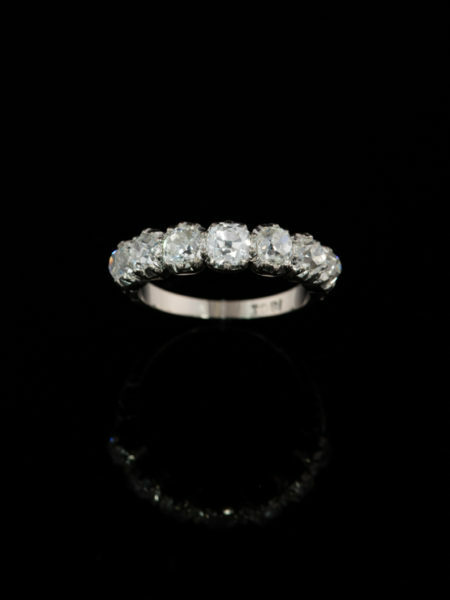 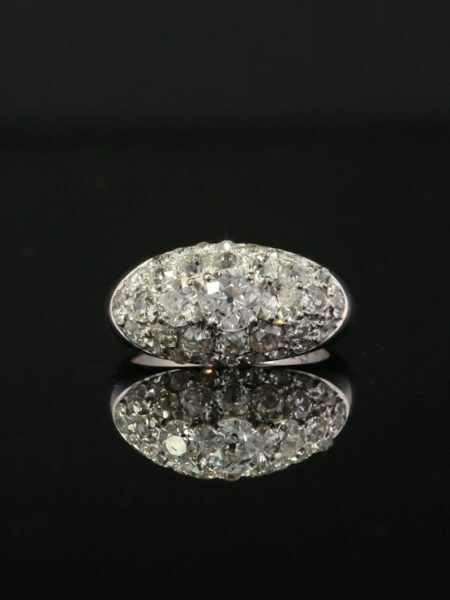 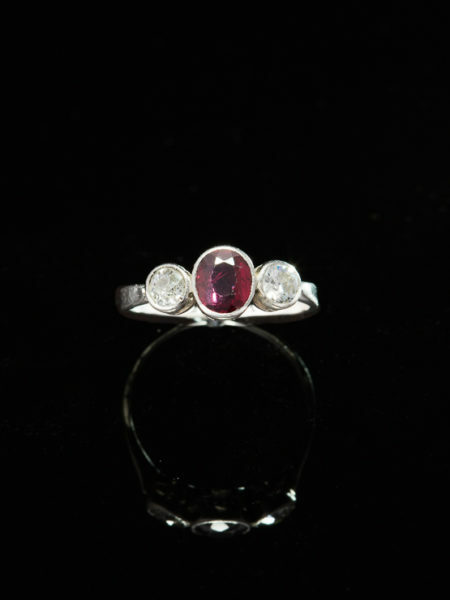 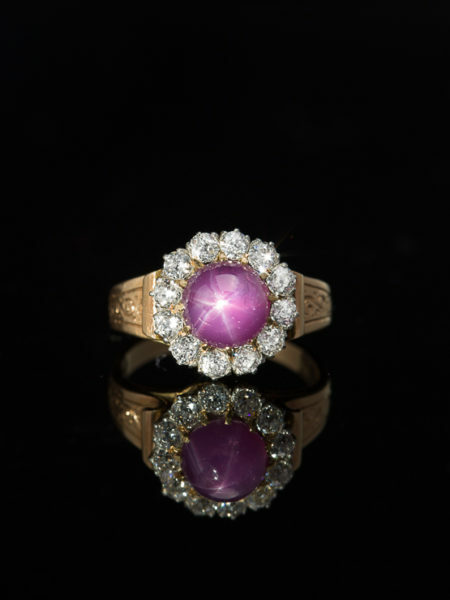 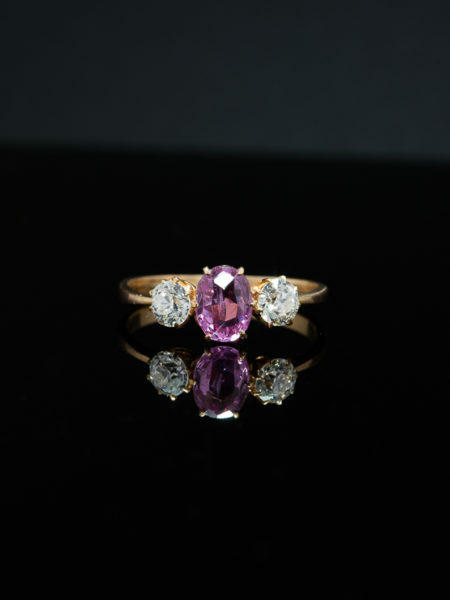 Antique diamonds have a glow which seems to emanate from deep inside the gem. 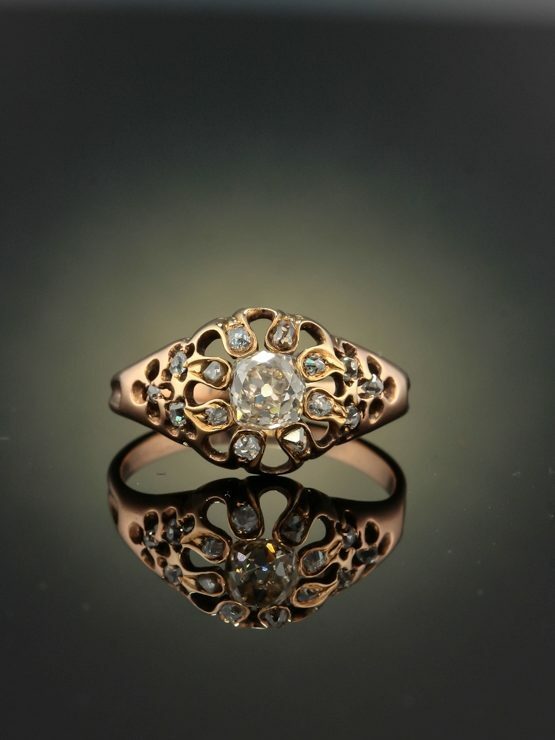 Although difficult to put into words, it is as though a small fire flickers with warmth and romance. 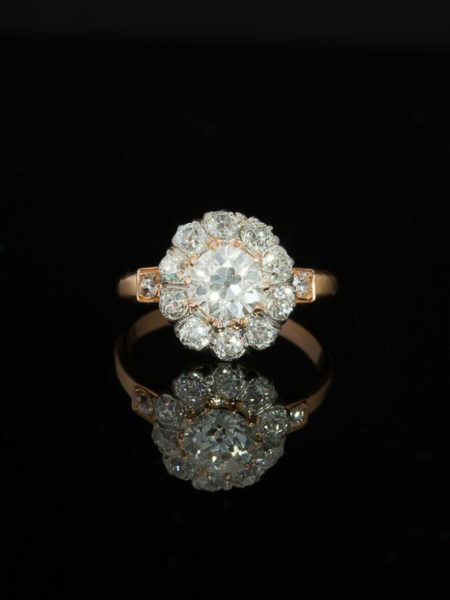 Centering a champagne coloured, deep, romantic, antique cushion cut diamond sparkling with approx 1.00 Ct of very fine clarity. 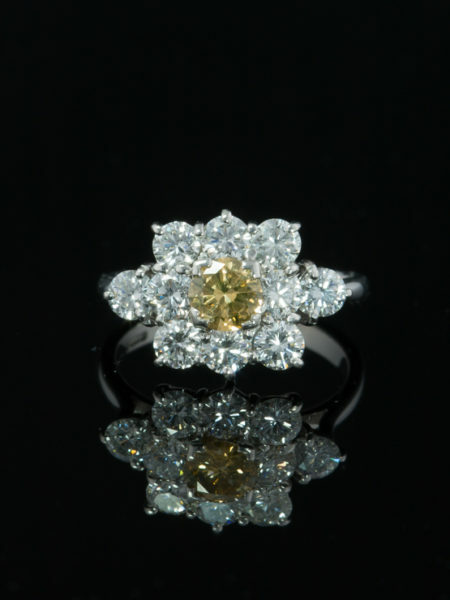 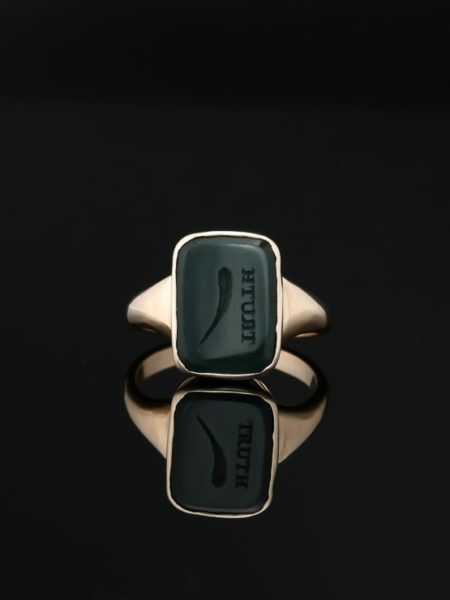 In addition, the way the facets are polished induces the viewer to travel deep within the diamond. 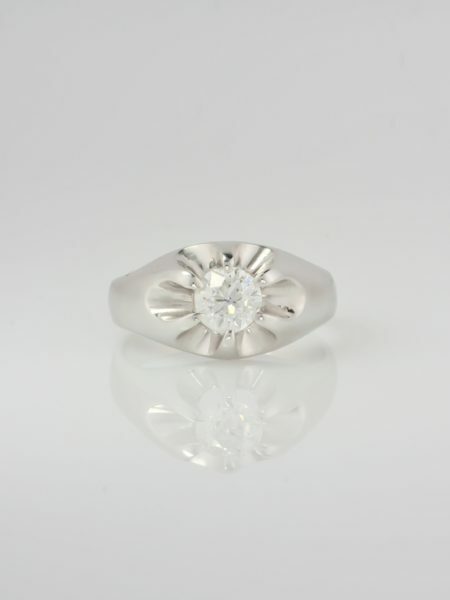 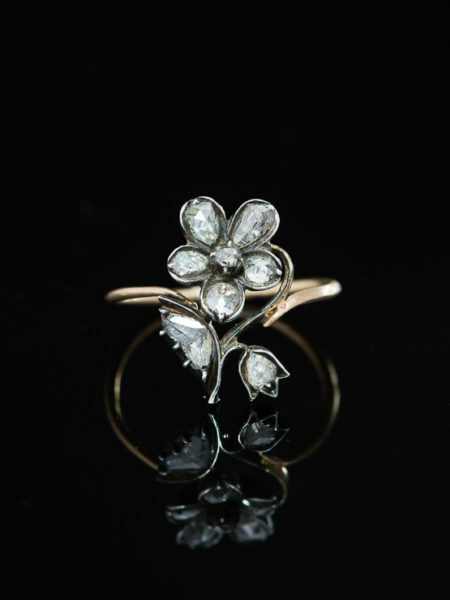 Playing with positive and negative spaces a flower blossoms set with seven old mine cut diamonds and a rose cut diamond totaling approx .30 Ct breathe life and detail into a wereable expression of creativity. 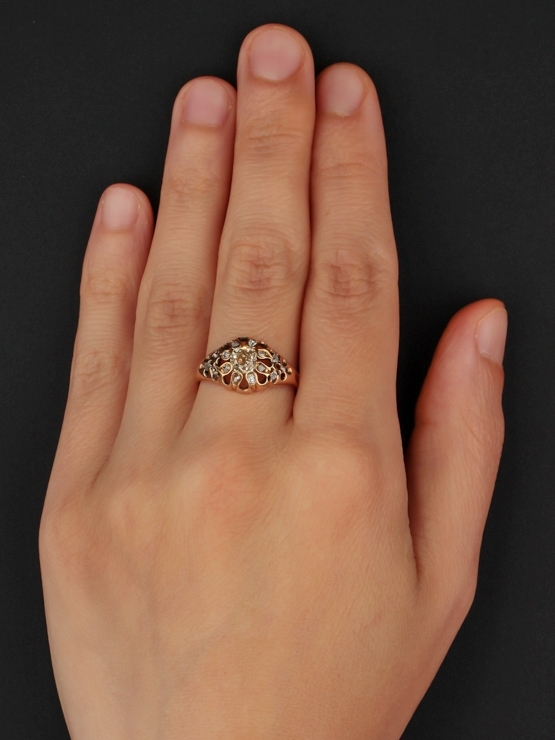 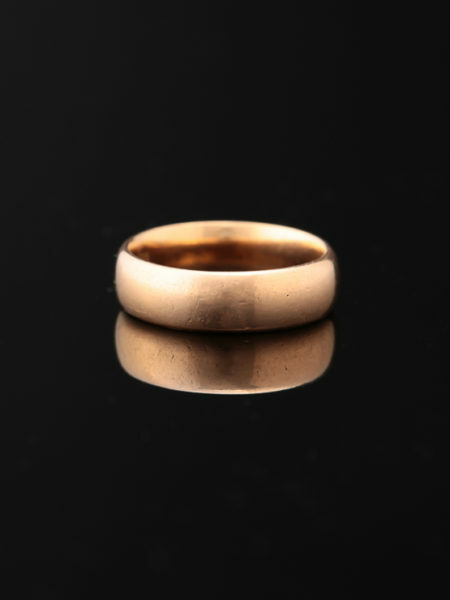 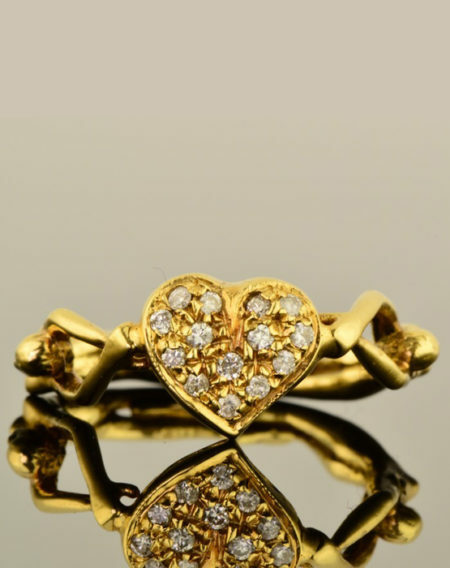 On shanks a medley of graceful curves and six sparkling old mine cut diamonds totaling approx .22 Ct.
Artfully handcrafted in 14 Kt yellow gold by a master goldsmith during Edwardian era. 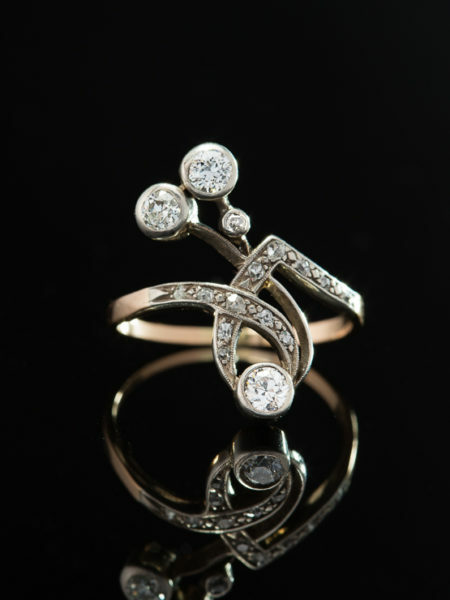 Styling and sensual curves brings romance right to you.